Are you a backcountry skier or snowshoer? 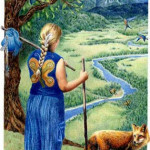 Do you like to hike or camp in the wilderness? Are you a climber or a paddler? Also-Do you enjoy motorized travel in the wilderness? Do you travel in the developing world or in places where you do not have access to highquality definitive care? Do you live in an earthquke zone? If you answered yes to any of the above, wilderness medicine training would be useful to you. 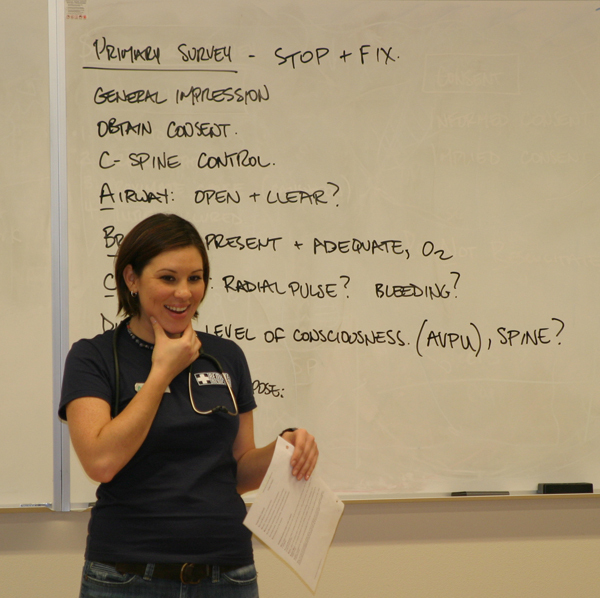 Even the most basic course will elevate your ability to assess and manage medical incidents until they are resolved or definitive care is accessed. For backcountry travelers, wilderness first aid training could be considered the “eleventh essential”. Having a small first aid kit in your backpack is great, but the skills and confidence that come from having taken a training are invaluable to you and your partners. Wilderness medicine is first aid and medical training that answers the challenge of managing medical incidents in backcountry conditions. “Backcountry” typically refers to locations an hour or more from access to definitive medical care. Effective training includes teaching making proper assessments, managing common incidents, stabilizing life threats, and safely leading or supporting evacuation to definitive care. • Extended time to definitive care– In the “frontcountry” or urban setting, we have the luxury of access to an EMS system that will respond on scene quickly to stabilize the patient and deliver them to definitive care. In the backcountry, it will be at least an hour, if not hours or even days until that patient is seen in a hospital. 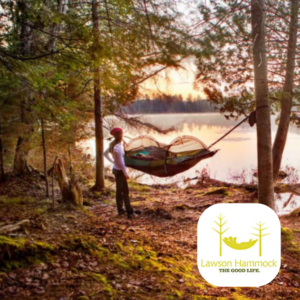 • Limited resources– Backcountry travelers typically pack light, at least with regards to medical kits. Resources also refers to trained rescuers on hand- for example, how many members in your party can make a solid assessment? And if the patient required an immediate evacuation, how many fit teammates are on hand? Your options may be limited by the small amount of assets on hand. 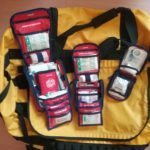 • Improvisation– When your first aid kit is by necessity limited, it can be useful to know how to use what you have or what you can find around you to provide care. • Environment– What if you need to treat your patient on the side of a mountain, in cold rain or snow? Managing the environment in some cases trumps treating the patientʼs chief complaint- i.e. hypothermia would take priority above a sprained wrist. As much as it is a skill set, itʼs also a decision making exercise. 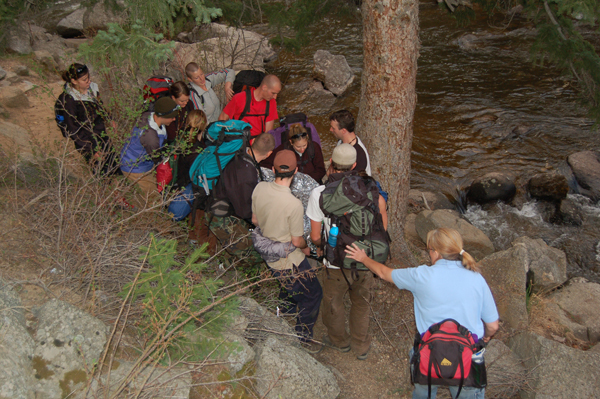 Wilderness medicine training ideally involves a combination of classroom instruction and hands-on scenarios. More than just treating specific issues, wilderness medicine instruction looks at the big picture and teaches students how to prioritize care and resources. The hands-on sections of the course are really valuable- students gain muscle memory, are forced to step up out of their comfort zones and dial in assessments and prioritizing care. The challenge of assessing and stabilizing different “patients” generates confidence, and oversight by trained instructors helps you to avoid mistakes. Scene safety is one of the first considerations- itʼs vital that you donʼt create any more patients by rushing into an unsafe scene. These days, BSI or body substance isolation is also primary to scene safety- protecting yourself from potential contaminants from another patient is part of your practice. And also very important are legal considerations. Understanding what constitutes consent (which varies depending on patientʼs age or state), negligence, privacy rules (HIPAA), and how to document your care can be very important in the aftermath of an event. There are several trainings and certifications available, to suit different schedules or requirements. If free time is tight (often taken by the very activities you want the training for!) consider taking a WFA as an intro- you wonʼt miss one weekend, the training is alot of fun, and will help build your outdoors skill set with minimum expenditure of money or time. 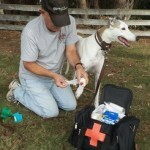 •Wilderness First Aid (WFA) – The WFA training is typically delivered over two full days (16 hours). Itʼs the full picture, in a short span of time. Curriculum includes making assessments, managing common issues, and managing a short list of life threats. I liken the WFA to an Avalanche 1 training- itʼs great to get a baseline understanding, and very useful for members (but not necessarily leaders) of groups traveling in the backcountry. • Wilderness First Responder (WFR) – This is commonly a 72-80 hour training. Wilderness First Responder expands on the WFA curriculum, includes more in-depth scenarios, and provides leadership and decision-making elements. The WFR is the standard certification for mountain and backcountry guides. 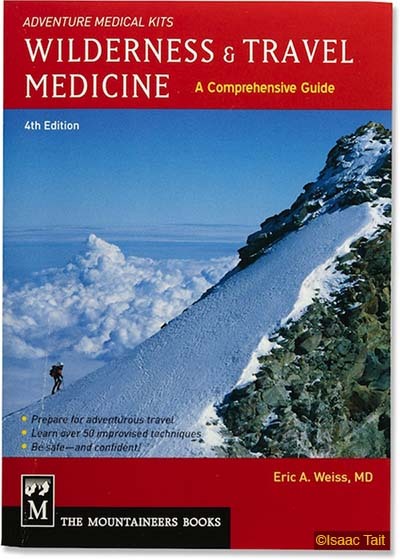 • Wilderness EMT (WEMT) – The WEMT includes EMT-B certification, and adds training specific to delivering that level of care in the backcountry setting. Residential courses are offered by several providers. A typical program will last one month, and includes requisite ambulance or ER observation as well as NREMT psychomotor or skills testing. There is a NREMT electronic exam requirement separate from the training. 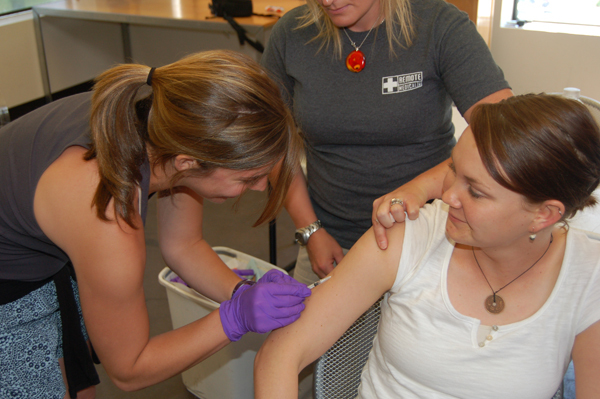 • Some providers will give WEMT certification via a WFR course followed by an urban EMT classroom course. Other training providers offer WEMT training that integrates the wilderness setting and scenarios throughout. With the exception of the EMT portion of WEMT course, certifications are issued bylicensed training providers and represent successful completion of that providerʼs curriculum. Certifications are typically good or current for two-three years from the date of the training. While there is currently no legislation for standardization of these courses, many of the biggest providers of wilderness medicine training have established a set Scope of Practice, so courses from various providers will generally cover roughly the same information. Each individual provider, however, controls their own instructor standards and delivery methods, so I do suggest doing some research to find a course that fits you. Recertification ensures that skill sets are kept up to current standards. Recerts serve as a refresher as well as to introduce the student to any new information or changes in guidelines since their previous training. • For the WFR, different providers will offer different recertification options. Some providers will accept taking a WFA as a WFR recert, while other providers hold that a WFR needs to be refreshed at that higher level of capability, beyond the scope of a WFA class. These WFR recerts may run three days, and some will include CPR recertification as well. • The Wilderness EMT requires recertification on at least two levels. The “W” can be recertified via a WEMT recertification course, while the EMT portion requires recertification by the National Registry of Emeregency Medical Technicians (NREMT). In the greater Seattle area, there are courses scheduled by several providers year round.You can Google “wilderness medicine Seattle” and should be directed to websites or announcements of currently scheduled courses. If you have regular partners that you get out with, consider taking courses together. I often hear someone in a group say “one of our team is a wilderness first responder”. But what if the WFR is the one that gets hurt? Itʼs so easy for us in the Northwest to access these courses, and a real upgrade to your safe travel and peace of mind.